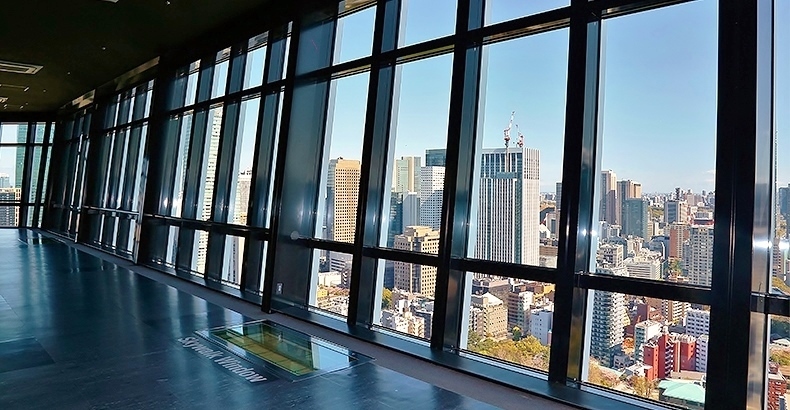 The 150m Main Deck, where you can get a sense of Tokyo's cityscape in all three dimensions. 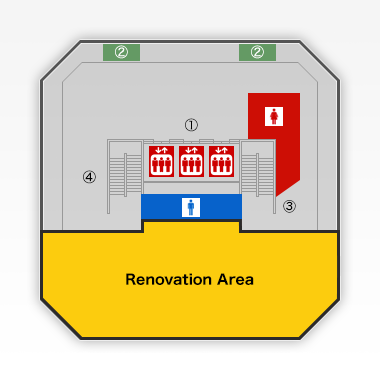 Plus, the 250m Top Deck, with a perfect bird's-eye view of the whole of Tokyo. 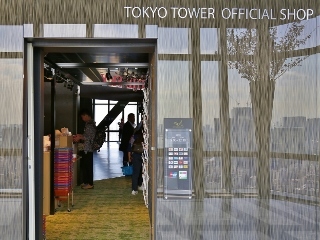 Here is an introduction to Tokyo Tower’s two viewing platforms. and reopened as a new attraction called "Top Deck Tour"
on Saturday, March 3rd, 2018. 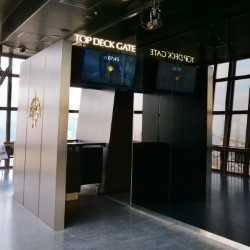 “Cafe La Tour”and “Official Shop”are located on Main Deck. Come enjoy a cup of tea with breath-taking views, or enjoy live music on the stage, which enhances the magnificence of Tokyo’s night view. 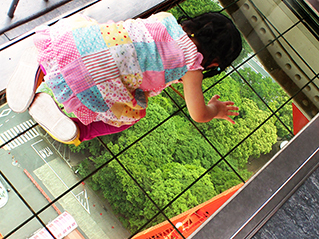 Be sure to experience the thrill of standing on the glass floor called “Skywalk Window”! 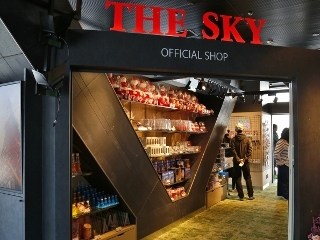 TOKYO TOWER OFFICIAL SHOP THE SKY is run by Tokyo Tower and sells around 300 items that include the Tokyo Tower character merchandise, “The Noppon Brothers” and Tokyo Tower miniature models. Visit the shop after enjoying the wonderful view from the Main Deck. 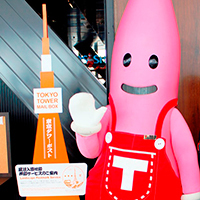 The items you buy in the shop will surely bring back great memories of your visit at Tokyo Tower. 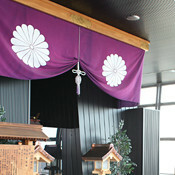 The shrine is located on the highest place in Tokyo’s 23 wards and has a very honorable origin. It is responsive to the prayers for fulfillment in love and school success. Many students preparing for entrance exams visit the shrine every year to feel the power of the Shinto God enshrined in the highest place in Tokyo. 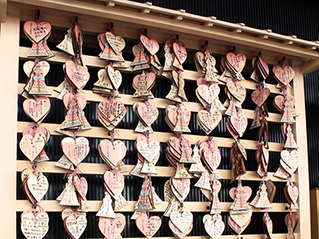 GOODS SHOP next to the shrine sells good-luck charms for the exams. 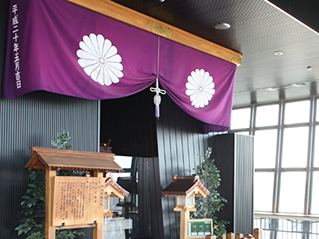 *Due to renovation work on Main Deck, from late January 2018 the Great Shinto Shrine of the Tower will be moved to Foottown 3rd floor for the time being. 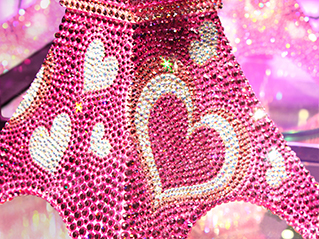 Love Power spot is decorated with 10,000 romantic Swarovski crystals. A single glance and your romantic prospects will increase immeasurably! 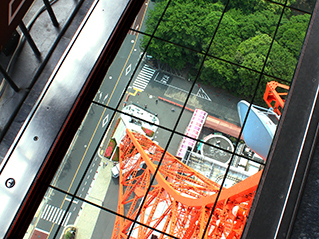 Look down 145 meters from Tokyo Tower’s famous attraction,“Skywalk Windows”. 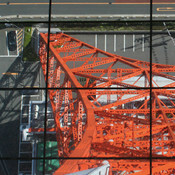 As you peer down from the glass floor, people and cars look like small grains of rice. Test your courage here. Step on the glass floor. 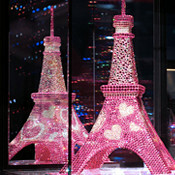 Once you feel comfortable standing on the glass floor, why don’t you jump as high as you can? 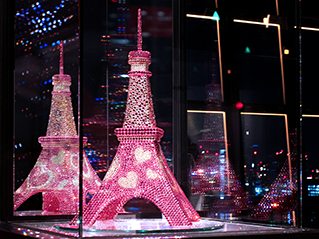 Be careful not to faint on the glass floor if you have a fear of heights! 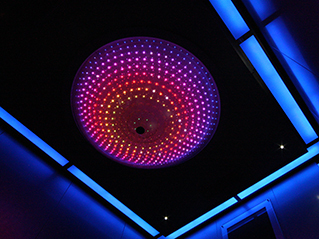 Fast elevators can take you to the 2nd floor of the Main Deck from the 1st floor of FootTown in 45 seconds. 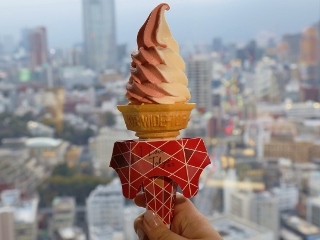 Tokyo Tower modified its three elevators named “UFO”,“UNIVERSE” and “Illuminated Rubik’s Cube” to commemorate the 50th anniversary. 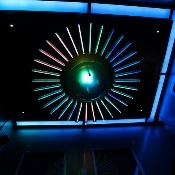 Once you walk through the doors of the elevator of your choice, a dream world welcomes you. Which elevator will you pick? 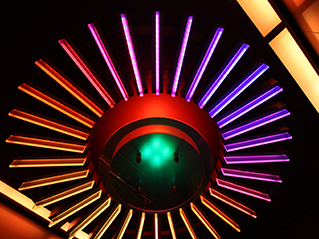 Prepare to take a dream-like trip to the Main Deck. 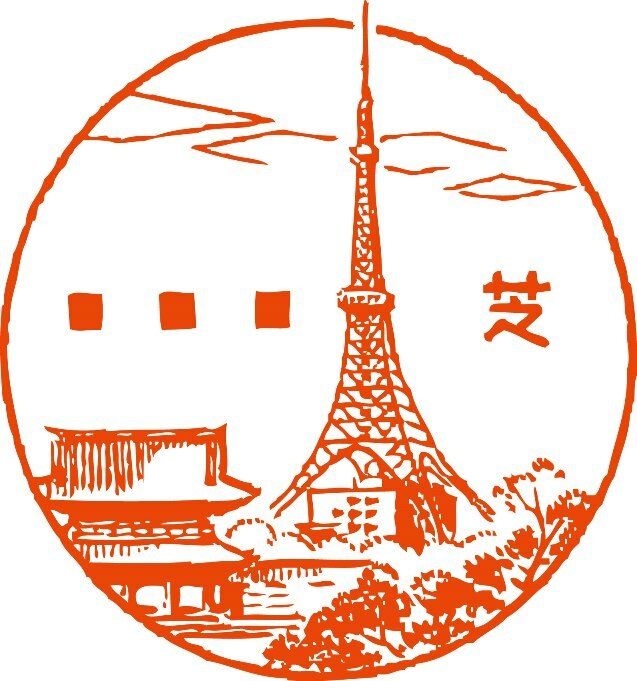 Any kind of mail such as post cards and letters that go in this box will be stamped with a special landscape postmark that's a picture of Tokyo Tower viewed from the precincts of Zojo-ji Temple. For your special memories, and a small surprise to your recipients. 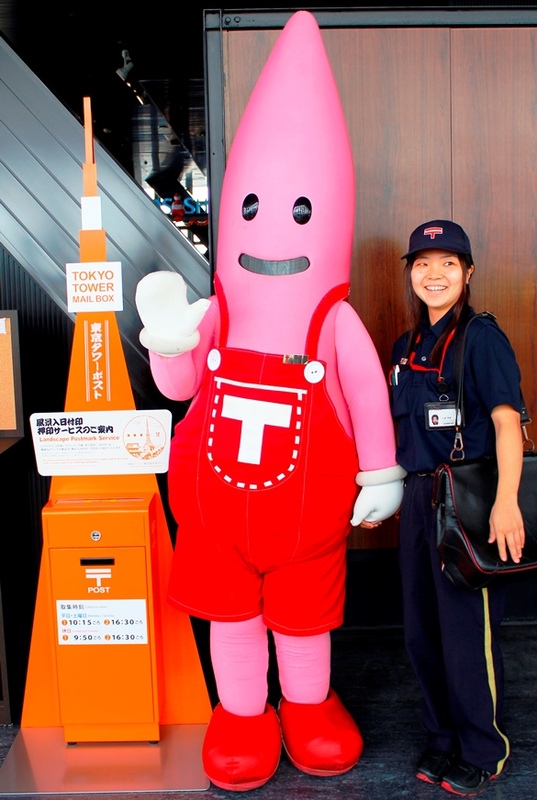 How about sending a memorable post card to your special person on your next visit to Tokyo Tower? 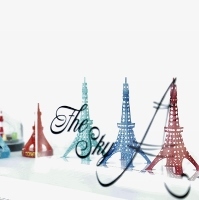 * Original post cards and letters are sold at the goods shop on the second floor of Main Deck. * stamp sales hours: from 9:00 to 22:00 - There is a writing table besides the post box. * The postmark will not be stamped on New Year's Cards sent from December 15th to January 7th. February 21, 2019, renovated and reopened! 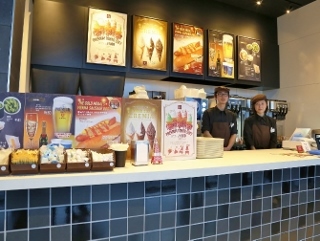 In the new Café La Tour, we recommend trying our Arabiki Sausage, hotdogs made inside Mt. Aso's nature and our soft ice cream with a great aftertaste. 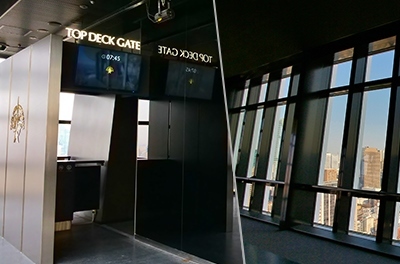 Enjoy a brief moment's respite viewing the scenery in the observation deck! 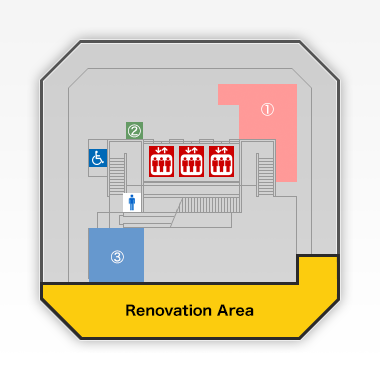 *Great Shinto Shrine of the Tower will be relocated to Foottown 3F for a while due to renewal work.